Welcome back to another Saturday Spankings! 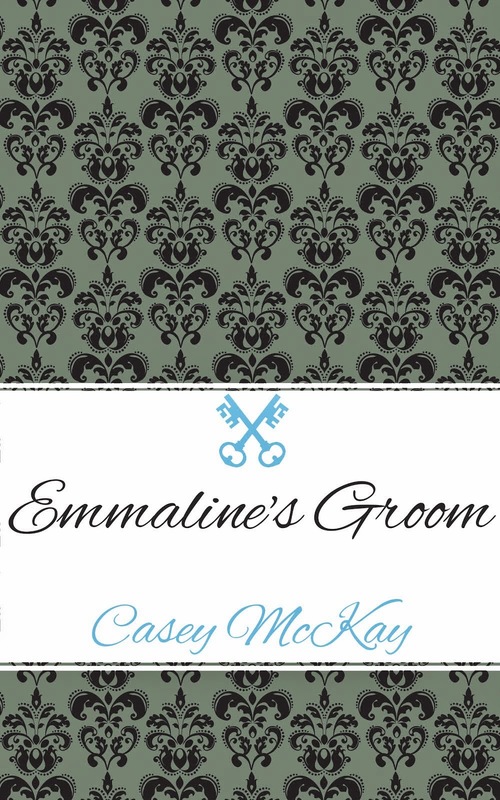 Today I have a little snippet from my new Victorian Spanking Romance Emmaline's Groom. Emma and Leo have just had their first argument as a married couple. They have made up, but Leo isn't wavering over the fact that he thinks she deserves a spanking for her misdeeds. He ran his hands down her naked back, stopping at her pert bottom which he cupped in his hands. "Who does this belong to?" he asked, squeezing her as he spoke. "You," she answered and tried to wiggle away. He gave her a sharp slap and she squealed. "Whose is it to spank?" He picked up the ivory hairbrush that still laid on the bed. He ran the smooth back over her creamy cheeks. "I promised you a spanking with this," he reminded her and she whimpered. Make sure you check out all the other entries this week! Such a classic scene of dominance and submission (i.e. who do you belong to). Enjoyed your snippet. No doubt whatsoever who is in control of this relationship. Great portrayal of the alpha male. Who do you belong to...so yummy! ooh, the ivory hairbrush! yipes!